Clan Details Are In The Game Now! We are happy to announce that the new World of Tanks update has brought a new feature that makes clan content even more accessible. The Fourth Campaign is about to start on the Global Map, and this new feature will help you take your time while choosing a worthy clan to join for the struggle for exclusive Tier X vehicles. Clan profile, a new feature with important clan details. 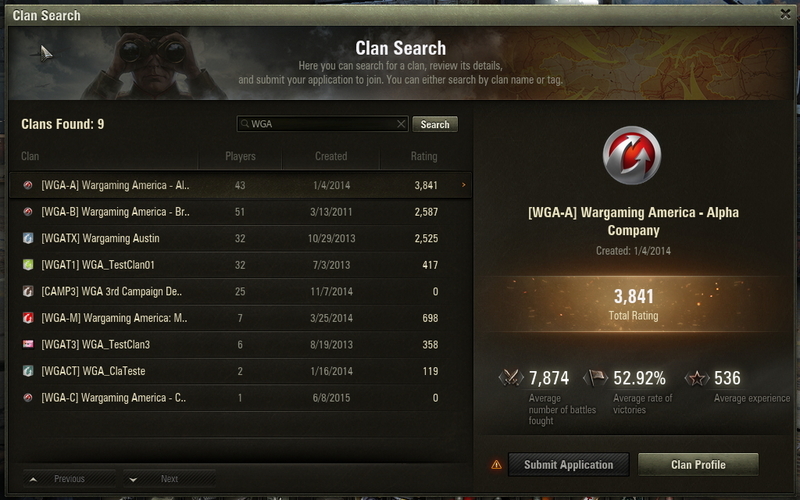 Clan search in World of Tanks. Now you can join a clan without leaving the game. Invite a player to join your clan right after a battle. A clan profile link is also available when you search for a particular player. If the player is enlisted in a clan and you right-click the player’s profile, you’ll see the clan link. 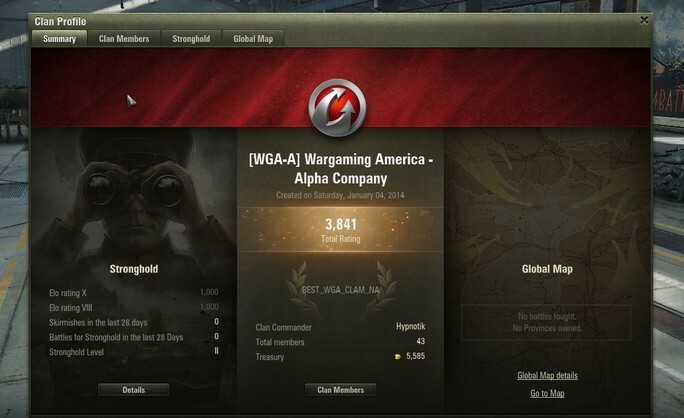 General information: details on the clan’s major stats like clan rating, number of clan members, as well as Stronghold and Global Map activity. Military Personnel: details on the current clan members and their average stats, as well as each player’s statistics and current online/offline status in the game. Stronghold: more stats on the clan’s Stronghold activity, plus clan’s current structures. Global Map: details on the clan’s Global Map activity and a list of territories currently owned by the clan. Now each player can search for a clan and join it without leaving the game. In the Clan Search screen, you will see a list of clans you can join and their brief stats. Now if you’d like to find a particular clan, you can search for it by its clan name or tag. To join a clan, you can simply send a clan application in the same window and receive a response shortly. Had an effective Random battle with a quick and skillful stranger? Don’t waste time and invite the player to join your clan right after the battle! In the Battle Results screen, you can now invite a player to your clan with just a few clicks. 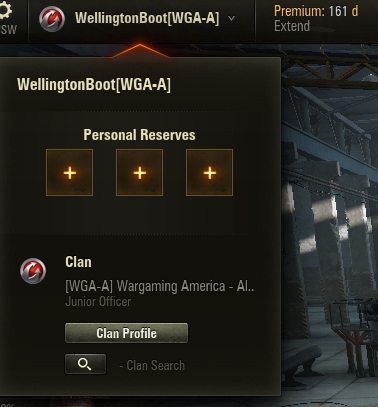 Apart from that, clan officers can also invite a player in the Search screen by right-clicking a player’s profile and then selecting “Invite to Clan”. Clan officers permitted to recruit players can now see a list of received clan applications, as well as the applicants’ brief stats and current application status. 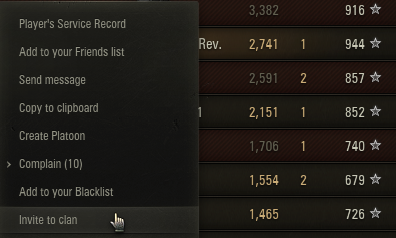 In a separate tab, a clan officer can look through active invites sent to players. The same screen can also be opened from a player’s profile in the Garage. Clan officers can go to a player’s profile to see the player’s detailed statistics and then decide whether to invite the player to their clan, without even leaving the clan applications list. With the new feature you spend way less time on processing clan applications and you don’t even need to leave the game to do it. Players who are not enlisted in a clan can see a list of clan invites. To find a list of invites or to accept one of them, go to the “My Clan Invitations” section. 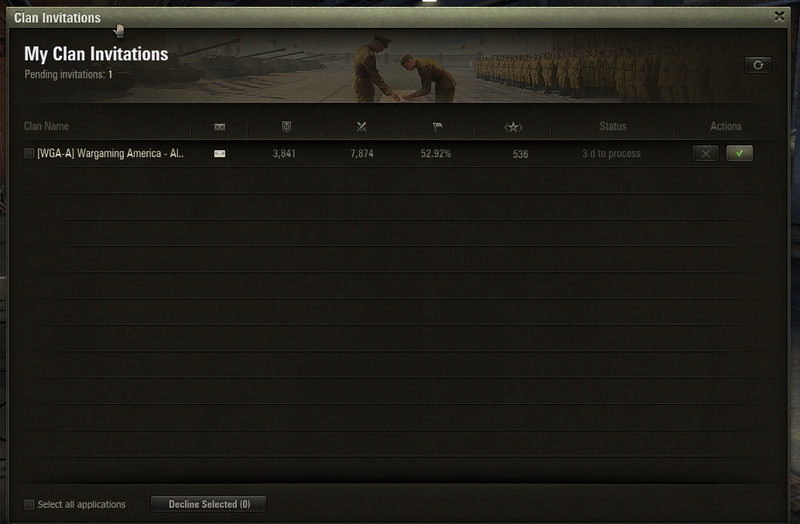 Applying to a clan now takes even less time than equipping your tank before a battle! You will see the invites you received in the Notifications. With a simple click on the “Accept” button you can easily join a clan, or you can scan through the clan’s details first and then decide whether you want to join it. In the Notifications screen, clan officers can also track invites sent and their status when it’s accepted or declined by a player. If you don’t want clan invites or applications updates in your Notifications, you can switch it off in the Settings -> General menu. Along with this new update you can also switch to the Clan Portal and see clans’ detailed statistics, as well as compare the efficiency of several clans if you received several invites at the same time. This update is another step towards extending clan features and our developers continue to work on enhancing clan content. Stay tuned!